In an ideal world we would spend all of our time with our pets. Unfortunately, this is just not possible for most of us. But what happens when this becomes a problem for our dogs? Separation - related problems can be one of the most frustrating and difficult challenge's us dog owners face. Some of the signs are so subtle that more dogs may be suffering than previously realised. Dogs can show signs of stress by whining, panting, pacing, or salivating. If your dog is particularly excited to see you when you return or appears anxious before you leave they may have separation- related problems. To start tackling separation problems you need to get as much information as possible about your dogs behaviour. Taking a video of them when you are out is great idea. You can then find out exactly what they are doing and start to work out why. 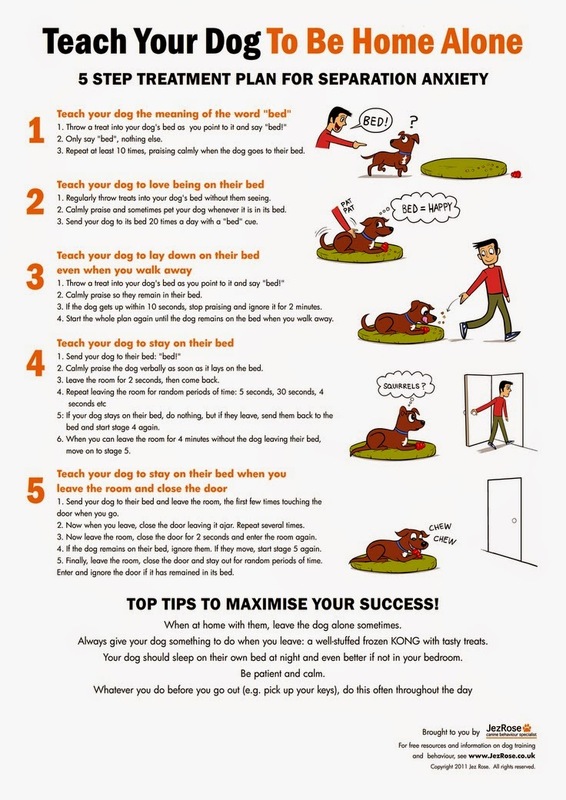 Once you know exactly what your pooch gets up to when your out and about you can then start to correct it. Depending on the type of separation anxiety you dog shows will vary the treatment. There are three types of separation related behaviours. 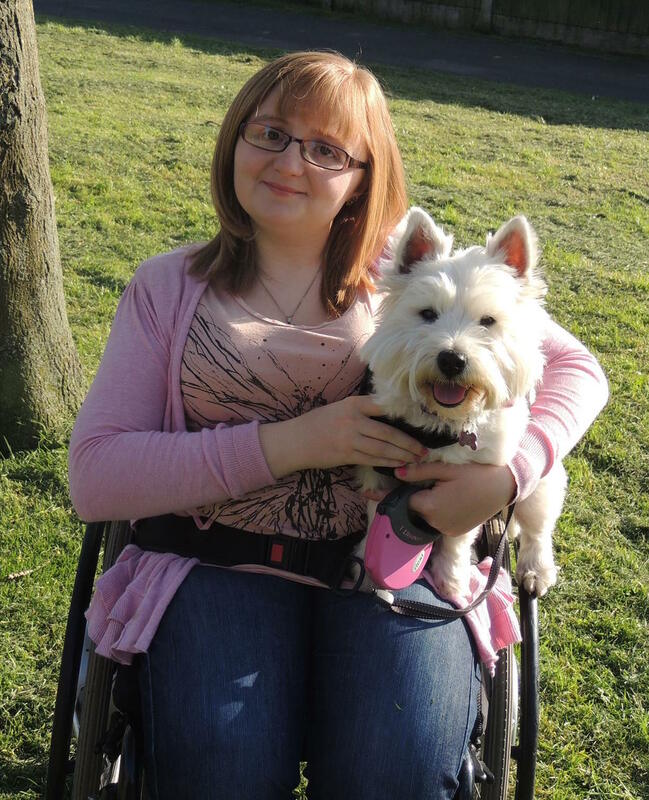 Attachment - a dog gets distressed as they have an attachment to one person. Fear - dogs think that without their owners around bad things will happen to them. Frustration - the dog is more frustrated at being alone rather than anxious. Attachment - If you dog has a particular attachment to one person, you need to teach the dog that nothing bad happens when they are not around. When Lottie was a puppy she would have some time of her own even when we were in the house all day. We had a baby gate in the kitchen and would place her in there with a stuffed Kong and closed the gate. We varied the amount of time she would spend on her own and always told her she was a good girl if she stayed settled. If you dog shows a particular attachment to you, its a good idea if you have other member of the household get involved with your dogs everyday routine. Maybe they could go for a walk together, or to the park. It helps teach your dog that they can fun without you been around. Fear - You need to use techniques that look to desensitise and counter - condition your dogs behaviour so he learns that it is safe to be home alone. A desensitise CD is a great tool. we highly recommended this one - CLIX Noise and Sounds CD. They can be played during the day whilst you are at home and can then be increased in volume each time to get your dog used to the sounds. 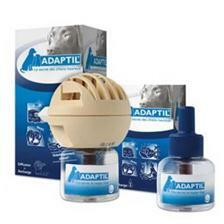 Adaptil offer a great range of products that can help calm your pet. We particularly like the spray and use it every time Lottie travels in the car. Their products are highly rated from users including us. Frustration - Dog are social creatures, so leaving them alone goes against their naturals instinct. We provide them with company and something to do. Without us they simply get bored. There are things we can do to help. Kong's are our savor, we leave Lottie with one every time we go out. We have a great Kong recipe here. If your going to be leaving your dog regularly for a long period of time, doggy day care is a great alternative. 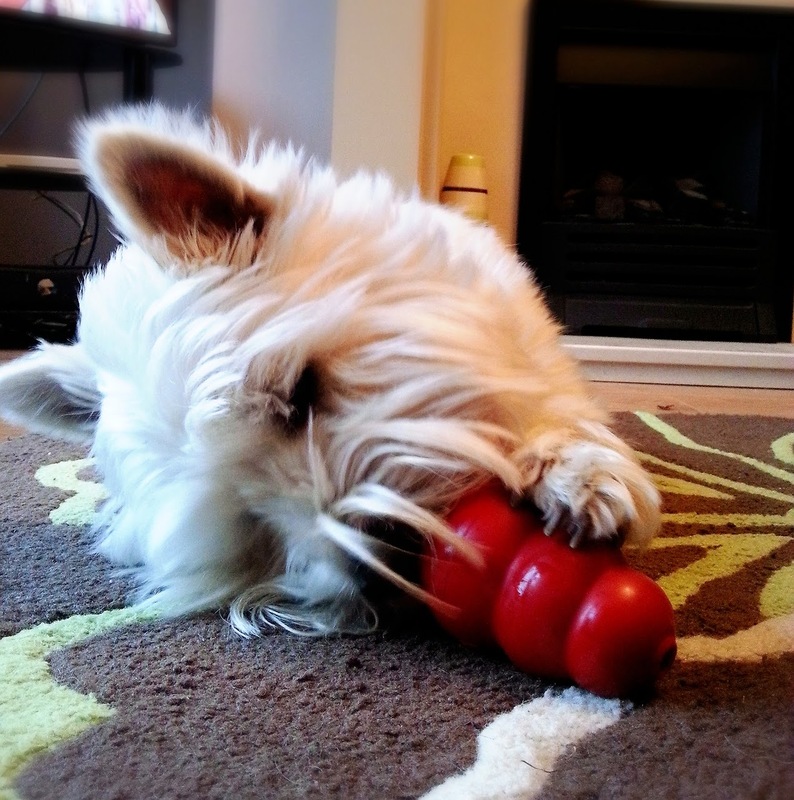 We know lots of doggies that have great fun! The main tip we would give new or existing dog owners, is to build up the time gradually. When we first had Lottie we left her for five minutes at a time then built it up from there. We also have a routine for every time we go out. I don't make too much fuss and leave her with her a tasty treat each time. We hope these tips are useful? Have you ever had problems with separation anxiety, we would love to hear your tips too? Some excellent tips and solutions! Separation problems are such a problem to tackle, and can be especially bad the more you are bonded to your dogs! Great post! Sepia Saturday | Organised at last! Wordless Wednesday - Almost | The BEST News. Wordless Wednesday - Almost | In a spin. Pet First Aid | Are you aware and prepared? Pet Parade | A BIG Thank You! Tasty Tuesday | Doggy Liver Cake.